these are meant to be viewed at 2x zoom, but ill upload the small and the big too. the top left corner and the green is supposed to be grass, and the grey/blue parts are two diff. versions of an inside tile, probably in a darker place or something. the bigger part of the grass (bottom 3/4s) i took the first tile and got rid of the 3 colors, colored one of the colors (the "stalks" of the grass) the same color as the highlight and i got this interesting natural looking grass effect... not sure if the messiness of it is good. looks kinda cool IMO, but id really like someone else's opinion on it. i know its only like 3 diff. tiles, but I'm just starting out. c + c if you could, thanks a lot ! I actually rather like the tree--you did a good job preserving the layering and feel of the canopy in the final version--but it's also out of perspective. Your grass is in the 3/4 / top-down view so often used in classic RPGs, while the tree is viewed side-on as it would be in a sidescroller. This makes it look sort of like it's lying down on the ground, which is a bit odd. Your tree is constructed well, although it does look like you might have traced it or at least been a little slavish in your reproduction. Copying things is how you learn and ability with a pencil is invaluable but try to figure out why your reference looks the way it does and apply that information to the creation of your work. Using tiles in profile (from the side) in a top down game is unusual, not to say it can't work. Have a look at some screenshots from popular RPG's and look at the way perspective is handled. 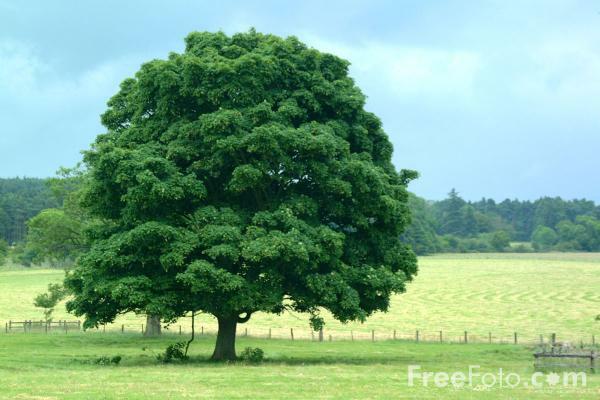 If you're seeing the grass from above shouldn't you be looking at the tree in the same way? You're right that attention needs to be paid to what to draw and what to leave out when working at a small size. This is something that will come with experience, learning from your mistakes. Try drawing out what it is you want to achieve on paper (the whole scene), then transferring those ideas to pixels. yeah thats what i thought about the perspective. looks like its just been slapped on O_O . its hard to find references that are in 3/4 or topdown view that aren't game tiles themselves. thanks for the replies guys. facet, i actually got kind of inspired by seeing your edits on a few other topics on the forums; you've got a fabulous style! yeah, i think i might look at some other game tiles and see how they construct their trees, and also try to find some different references that are more of a top down view. thanks a lot guys! the bottom left ones are the new ones. used this one as a reference (2nd one from the left): http://www.nutbrownschristmastrees.com/img/trees-top-down-510x383-50perc.jpg . top right ones of the bottom left (if that makes sense haha) are "polished up"; the bigger one is no size restrictions and the one next to it is resized, cleaned up and edited so its 32 (two 16x16 tiles) tall. i wanna say I'm actually pretty proud of this one haha. i went for a more realistic look on the far left evergreen, but it didn't really read too well, so i copied it and tried to add in more detail without making it look exactly like what the reference i used looked like. i went for a more iconic kind of thing and i think it came out a lot better! fixed the perspective i think? and i thought about what you said Facet about why trees look the way they do (i interpreted it as think about the structure of the trees and all that) and just kind of exaggerated it sorta. i also got inspired by warcraft II's trees and pokemon firered/leafgreen's trees, with the layered kind of thing. any c+c on the trees? any structural improvements or anything? Making copies of your work, trying and comparing different thing 'forking' is an excellent habit. I went for a more iconic kind of thing and i think it came out a lot better! Brilliant, you should be proud! keep doing this and ever more extreme and you'll be able to draw whatever you want without reliance on specific reference. experiment with greens tinted towards different colours in the lights and darks. i actually got kind of inspired by seeing your edits on a few other topics on the forums; you've got a fabulous style! This warms my heart to hear, but keep in mind that I've tried to limit my personal preferences in my edits here by conveying an idea in the roughest sense (not always successfully). What I've posted is a result of thinking logically about structure and light, the way you interpret this starting point can be wildly different and you should experiment to your own satisfaction. yeah, i guess i actually meant your edits seem to be done very confidently and freely - it seems like you really know your stuff. with the different colored greens, do you mean hue shifting? i've done that slightly on my palette. do you think i should try for more drastic hue shifts? i'm always worried about too much or too little contrast. do you mean hue shifting? Yes, sometimes people respond better to information phrased in an unfamiliar fashion. I think you should try pushing this and other effects much further than is cautious to ascertain what you find a reasonable, or just interesting application. Thankyou, what you're describing (mark making & draftsmanship) is one of the chief pleasures of art for me and I'm very glad that you find it apparent. I'm constantly amazed by the amount of people who seemingly don't appreciate this quality or ascribe the effect to vague, fatuous nothings like 'soul'. If you can recognise it, you can attain it. Pixel art won't really help you on this front, drawing from life and learning to trust your eyes and hand to work together will. Immensely so. I'll be back tomorrow with a little diagram that might help you to visualise your ideas, keep working on improving on what you've already achieved. no problem. and really? wow thanks dude haha, thanks a lot for the help! edited the colors & shape of the tree a little bit (tried the hue shifting), made two versions of a water tile (by using the process in a tutorial i found here by vierbit: http://www.wayofthepixel.net/pixelation/index.php?topic=9865.msg107103#msg107103 really smart process! ), and started work on mountain tiles... just drew it without size restrictions. tried to go for more of that symbolic-over-realistic look again... the palette is wonky now. tried to imitate this purply-grey i saw on some picture of mountains. lost the picture though. comments on the mountain? that's the part I'm having the most trouble on.